The Tesla Model S luxury sport sedan breaks with convention by featuring a thoroughly modern and upscale cabin that is enveloped by a sleek exterior. It also has the potential for stunning performance in terms of both acceleration and handling. Yet, as with many EVs, the Tesla S provides near-silent propulsion, further enhancing its luxurious silence on the road. What’s most impressive about the Tesla Model S, however, is that it drives just like a conventionally powered vehicle. If you spring for the range-topping battery pack, range anxiety is unlikely to be a major concern, as it can travel up to 265 miles on a single charge. There’s also a wealth of cargo and passenger space for everyday usability. All told, the Tesla Model S is not just one of the best electric vehicles out there. It’s one of the best luxury sedans you can get, electric or otherwise. The Model S is both the ultimate eco-friendly luxury car and an absurdly fast sports sedan—so we love it, of course. With an aptly named “Ludicrous Mode,” the top-spec, all-wheel-drive P90D touts a 2.8-second run to 60 mph. The 90, 85D, 85, 70D, and 70 trims dial back performance and range slightly as you step down, but still offer a classy cabin and electrifying driving experience. Range anxiety is almost eliminated, thanks to generous battery capacity and an ever-growing Supercharger network. 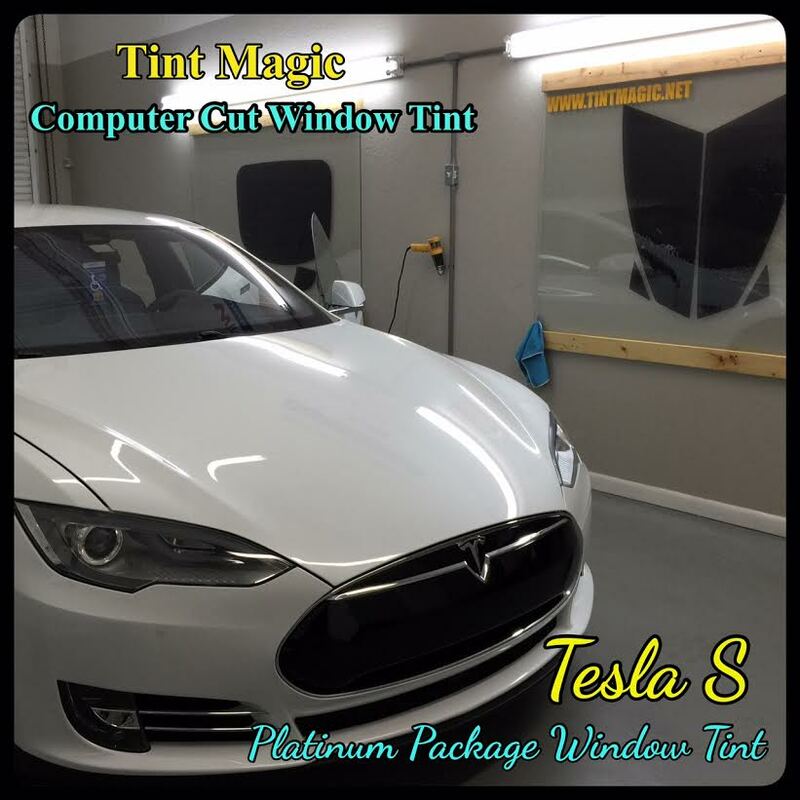 Tint Magic Window Tinting has applied on Tesla Model S Carbon Window Tint 25% all over the windows for the best heat rejection and 99% UV protection. Call us for a free estimate! (954) 840-7883. 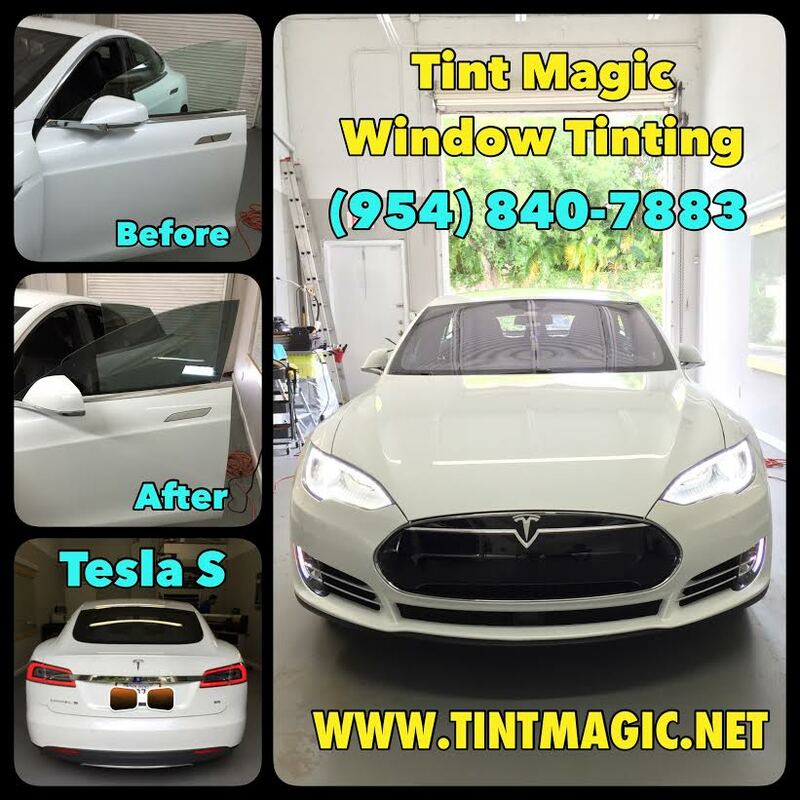 Tint Magic Window Tinting offer service to Coral Springs, Tamarac, Parkland, Coconut Creek, Sunrise, Weston and Margate.